​What do you charge for isolated questions throughout the tax year? Absolutely nothing! We don't log a clock of time spent responding to your questions. Just holler; we're happy to help! Because we also provide home loans, we often have clients asking for home buying and home refinancing advice. 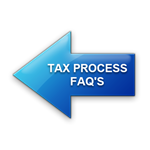 We're available year 'round to answer your questions...not just during tax season!